← WebStorm 6 Release Candidate is Out! At JеtВrаins wе wоrk tirеlеssly tо bring аbоut mоrе аnd bеttеr suрроrt fоr this lаnguаgе. WebStorm 6 introduces full support for the TypeScript language through 3 new features: File Watchers, Sourcemaps and general support for working with code. 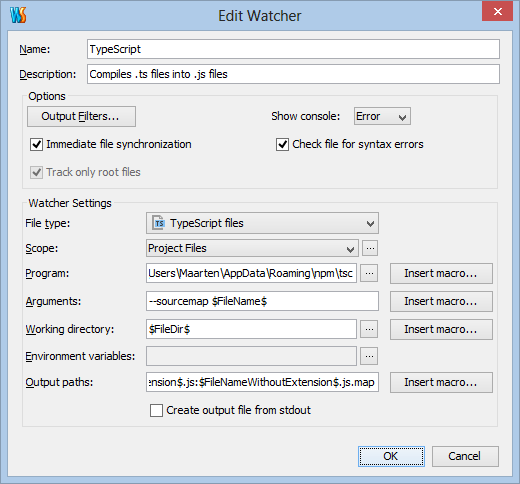 When editing a .ts file, WebStorm will detect that we are using a type of file which it can “watch” for us and proposes to add a TypeScript file watcher. 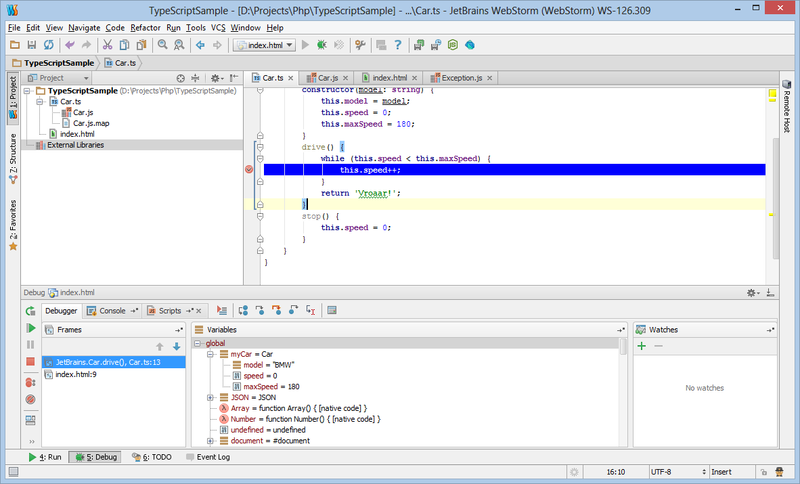 When added, WebStorm will compile our TypeScript file automatically whenever we make a change to it. WebStorm does not bundle the TypeScript compiler. We can install it from the TypeScript website or using the node.js package manager by invoking npm install -g typescript. What would support for a language be without WebStorm’s familiar features such as completion, navigation and refactoring? WebStorm 6 introduces these concepts for TypeScript. Code completion is available for TypeScript modules and classes. Now where’s that class? The Go to class action (Ctrl+N or Cmd+O on Mac) can be used with TypeScript as well. Refactoring is possible as well. If we select the speed variable from our example and press Shift+F6, we can rename this variable and automatically update all references to it. Awesome! Will there be same for Resharper ?. 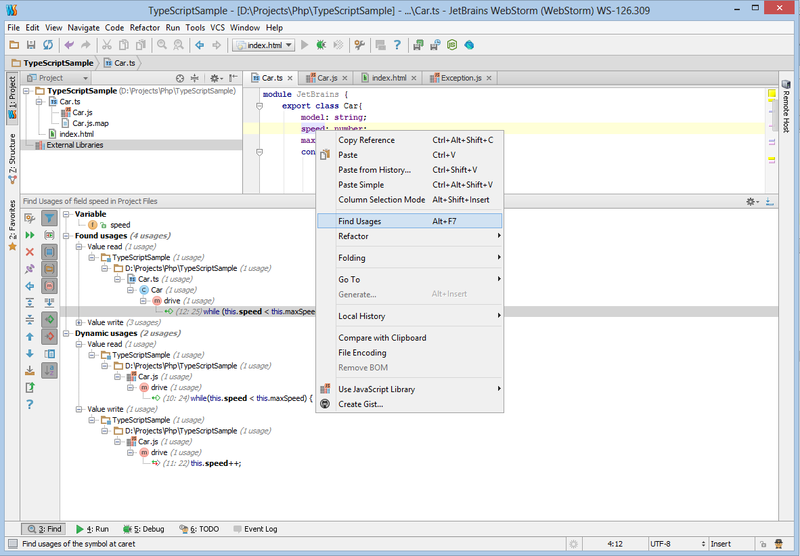 For PhpStrom 6 (example last EAP) need manual install Edit Watcher plugin at Jetbrains repository, for correct work. Are these changes in the current version of Idea Intellij? What file do I need to download from the TypeScript website? The file watcher can then be configured to use C:Users\AppDataRoamingnpmtsc.cmd as the compiler. Cool! but, what about support of typescript 0.9?